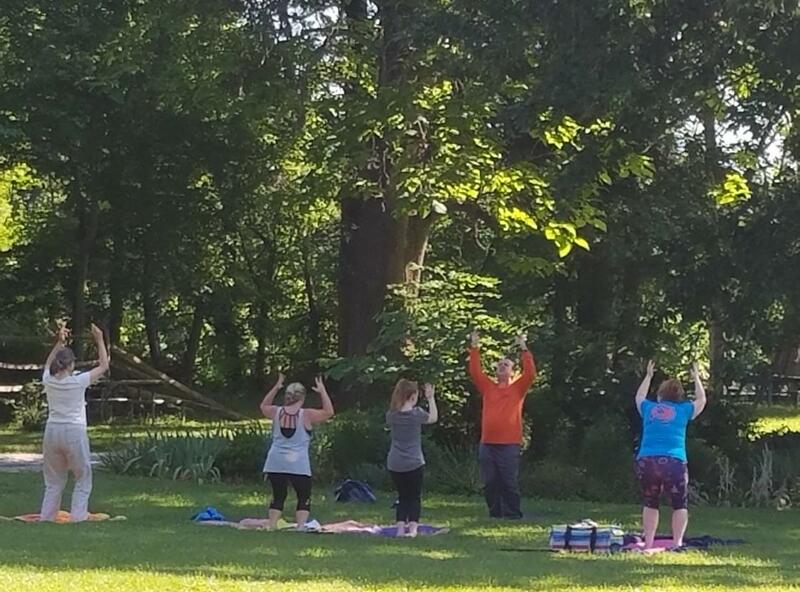 Enjoy performing yoga on the lawn with amazing views of the Potomac River and historic Rippon Lodge in the background. No one could ask for a better outdoor venue to exercise. Join certified instructor Christopher Glowacki for an hour-long Vinyasa yoga practice. Beginning yoga students to well versed devotes are welcomed. Classes offered most Saturday mornings from May to the end of October. Classes held from 9 a.m. – 10 a.m.; $5.00 per class, or 5 classes for $20.00. Participants are encouraged to bring a yoga mat, towel and plenty of water; beginners may want to bring a block and/or strap. Please call Rippon Lodge offices to confirm class days. 703-499-9812. Interior space available in case of rain. Rippon Lodge Historic Site, 15520 Blackburn Road, Woodbridge, VA 22192.